Written by the daughter of a two-time Vietnam veteran in the year of her father's death and the escalation of the war in Iraq. In a time of war, what happens once a soldier comes home? Due to her father's experiences in war he struggled with Post Traumatic Stress, heart sadness and alcoholism all his adult life even though he didn't get diagnosed with PTSD until 1992. In Accepting the Ashes Quynn shares her personal story so that other loved ones and soon-to-be veterans, who are fighting right now, might not have to wait 30 years to heal their painful feelings often caused by experiencing war-related stress. Available by book or audio CD. A highly practical, user-friendly guide to homecoming--including common after-effects of war zone exposure and how to cope--for returning troops and their families. Two experts from the VA National Center for PTSD provide an essential resource for service members, their spouses, families, and communities, sharing what troops really experience during deployment and back home. Pinpointing the most common after-effects of war and offering strategies for troop reintegration to daily life, Drs. Friedman and Slone cover the myths and realities of homecoming; reconnecting with spouse and family; anger and adrenaline; guilt and moral dilemmas; and PTSD and other mental-health concerns. With a wealth of community and government resources, tips, and suggestions, After the War Zone is a practical guide to helping troops and their families prevent war zone stresses from having a lasting negative impact. But rarely do we hear how parents are taking on the role of supporting their sons and daughters who have served our country. In countless ways these parents provide help—and when their military child suffers significant physical or psychological injuries, they may once again become their primary caretaker. For mothers and fathers and others in a parenting role, it can be overwhelming at times, and resources are limited. There are some things people don’t get over easily — pain from the past is one of them. Trauma changes people: It changes values, priorities, worldviews, and most of all‚…it changes how we relate to others. Painful, life-threatening experiences take people beyond the normal day-to-day life, leaving them stuck behind defensive walls that keep them from re-entering the world they have always known as “home”. So how does it happen? How do we lose the loving closeness with those around us? And better yet, how do we re-gain what pain has robbed us of? Down Range is not only a book explaining war trauma — it is required reading for anyone seriously interested about how to make healthy transitions from war to peace. Bridget C. Cantrell, Ph.D. and Vietnam veteran, Chuck Dean have joined forces to present this vital information and resource manual for both returning troops and their loved ones. Here you will find answers, explanations, and insights as to why so many combat veterans suffer from flashbacks, depression, fits of rage, nightmares, anxiety, emotional numbing, and other troubling aspects of Post-Traumatic Stress Disorder (PTSD). Now here is a comprehensive, practical book solely dedicated to addressing the cries and needs of the loved ones. Finally! A book that is geared toward your needs and issues—your cries. Being back home can be as difficult, if not more so, than the time spent serving in a combat zone. It's with this truth that Colonel Charles W. Hoge, MD, a leading advocate for eliminating the stigma of mental health care, presents Once a Warrior―Always a Warrior, a groundbreaking resource with essential new insights for anyone who has ever returned home from a war zone. In clear practical language, Dr. Hoge explores the latest knowledge in combat stress, PTSD (post-traumatic stress disorder), mTBI (mild traumatic brain injury), other physiological reactions to war, and their treatment options. Recognizing that warriors and family members both change during deployment, he helps them better understand each other's experience, especially living with enduring survival skills from the combat environment that are often viewed as “symptoms” back home. The heart of this book focuses on what's necessary to successfully navigate the transition―“LANDNAV” for the home front. Once a Warrior―Always a Warrior shows how a warrior's knowledge and skills are vital for living at peace in an insane world. Cope with flashbacks, nightmares, and disruptive thoughts. Help your heart accept what your mind already knows — and overcome PTSD. A traumatic event can turn your world upside down — but just because you're still afraid doesn't mean you're still in danger. There is a path out of PTSD, and this reassuring guide presents the latest on effective treatments that help to combat fear, stop stress in its tracks, and bring joy back to life. More than 550,000 veterans who have served in Iraq and Afghanistan (along with hundreds of thousands who bravely served in other wars and conflicts) are now dealing each day with the impact of Combat PTSD (post-traumatic stress disorder). PTSD: A Fifteen Minute Guide to Combat Related Post-Traumatic Stress Disorder is an easy-to-read book which quickly covers key topics about this disorder including what combat PTSD is, what it "looks" like, how PTSD changes the brain, treatment options, where to get help, and where to find additional info and support. It is a perfect way for veterans, loved ones, and those interested in supporting our nation's heroes and their families to begin getting an understanding of PTSD. This book is a project of Family Of a Vet, a non-profit organization dedicated to helping veterans and their families learn how to cope with PTSD (post-traumatic stress disorder), TBI (traumatic brain injury) and life after combat through real-world, plain language education and resources for heroes, families, and communities. It's authors, Brannan P. Vines and Heather A. Hummert, are both leaders within the organization, recognized subject-matter experts, and most importantly, have experienced life with PTSD first-hand as wives of two of our country's 550,000+ combat heroes who are currently struggling each day with the disorder. Running with the Hounds offers the reader a window into the lingering effects of Post Traumatic Stress Disorder on a combat veteran of the Vietnam War. David Wingfield's story is both unique and universal. For 30 years he hunted cougar and bear with hounds in the mountains of Oregon, but once he had his prey cornered, he would rarely kill. He is unaware that his refuge, the wilderness, is also the stage upon which he will relive the past. His story is tragic, rich, and redemptive. It speaks to the burdens of memory that veterans of every war keep to themselves. Life is tough for veterans, especially female veterans. They have much to deal with and much to heal from: combat, physical and psychological wounds, sexual harassment and assault, trauma, stress, chains of command, the VA. Now more than ever these veterans are facing their problems head on. In this inspiring new book, Kirsten Holmstedt, trusted chronicler of women soldiers and veterans, tells the ups-and-downs stories of veterans struggling with the aftereffects of military service. Highlights where the military has succeeded and failed to help veterans. Tears of a Warrior: A Family's Story of Combat and Living with PTSD: Are you able to describe five characteristics of a combat veteran who is suffering from trauma (PTSD)? Tears of a Warrior is a patriotic book written about soldiers who are called to duty to serve their country. This is a story of courage, valor, and life-long sacrifice. After the cries of battle have ended, warriors return home to face their physical and mental challenges. Some who made the supreme sacrifice return home in a box draped in the American flag. Those more fortunate, often scarred for life, try to establish a new beginning for themselves and their families. Unfortunately, for many veterans and their families, life will never be the same. Society, overall, is simply too far removed from the realities of combat and a world filed with atrocities to truly comprehend or appreciate the experiences of returning veterans. If we send them, then we must mend them. The Invisible Front is the story of how one family tries to set aside their grief and find purpose in almost unimaginable loss. The Grahams work to change how the Army treats those with PTSD and to erase the stigma that prevents suicidal troops from getting the help they need before making the darkest of choices. Their fight offers a window into the military’s institutional shortcomings and its resistance to change – failures that have allowed more than 3,000 troops to take their own lives since 2001. Yochi Dreazen, an award-winning journalist who has covered the military since 2003, has been granted remarkable access to the Graham family and tells their story in the full context of two of America’s longest wars. Dreazen places Mark and Carol’s personal journey, which begins when they fall in love in college and continues through the end of Mark's thirty-four year career in the Army, against the backdrop of the military’s ongoing suicide spike, which shows no signs of slowing. With great sympathy and profound insight, The Invisible Front details America's problematic treatment of the troops who return from war far different than when they'd left and uses the Graham family’s work as a new way of understanding the human cost of war and its lingering effects off the battlefield. In the same accessible, self-help style used in The Veteran’s Survival Guide, Roche offers detailed instructions on how to prepare a well-grounded claim for veterans’ benefits relating to PTSD. He also discusses the four years he spent helping one veteran establish a "service connection" for his PTSD claim with Veterans Affairs. This book will be required reading for any veteran or veteran’s dependent who wishes to obtain his or her well-earned benefits and for those officials of veterans’ service organizations who assist veterans with their claims. Throughout the years, my doors have always been open to the veteran community. As most of you know, my dad was a WWII and a Korean conflict veteran. His struggles with trauma compelled me to pursue this area as my life s work. The more I counsel our aging warriors, the more I understand the long term effects of trying to sort out the repercussions of past military experiences. Imagine ... you're in the middle of combat, overwhelmed, perhaps overrun and out of ammo, pinned down in an ambush kill zone or caught out in the open by enemy fire ... death is so close. Then, as quick as it began, the fighting abruptly ends. The warriors were prepared to step into an afterlife that never came. Now decades later, these same warriors have survived to become senior citizens still with lingering questions about their experiences and are at the same time being handed new challenges. This book provides a guide to help those warriors find meaning and solutions for a better life in their golden years after living through it all. From the author of Down Range to Iraq and Back, Once a Warrior: Wired For Life, and Souls under Siege now brings you Through the Woods and Over the Hill: The Aging of America's Warriors. It is a book that will help us all understand how to plan for and deal with the unique combination of surviving combat and the personal changes that come with growing old. As a military service member, you're looking forward to life after deployment and being back home among family and friends. But adjusting to "normal" life again can bring its own challenges. You're not the same person you were when you left on deployment. This book, written by military psychologists Moore and Kennedy, is a down-to-earth guide that's full of practical advice. The authors talk straight about both the joys and challenges of returning home, advising that one size does NOT fit all when it comes to making the transition. They share thoughtful, constructive tips for dealing with unwanted surprises like relationship break-ups, financial problems, and kids who are suddenly strangers. Experiences shared by many returning service members, like sleep disturbances, anger management, and learning to live with "hyperstartle," are also discussed. For those whose transition has been more difficult, chapters on identifying the signs of PTSD, living with disturbing memories, and seeking relief from suicidal thoughts are particularly valuable. Michael Lloyd's life came to a screeching halt when his best friend, Cpl. Damien Wilson, was killed in Vietnam. Little did Michael know the black whirlpool of emotion Damien's death would set into motion. Michael's father, Stephen, President of Lloyd Hotels International, had been a B-24 pilot during the second World War. Stephen had put his combat experiences behind him- he thought. By 1968, Vietnam monopolized nightly newscasts viewed by millions of Americans at their dinner tables. Stephen attempted to dissuade his son from making any rash decisions about avenging Damien's death, but he overlooked the possibility of that death raking up terrifying memories of deadly flak, German ME-109s, and his riddled bomber lumbering to its German targets. Stephen began spiraling out of control, taking his family with him. This story is historical fiction based on true events. It discusses what was once termed 'Battle Fatigue' or 'Shell Shock', but known today as Post Traumatic Stress Disorder (PTSD). You will follow the Lloyds as they suffer the repercussions of PTSD, and the severe mental trauma that ambushes, as it victimizes the whole family. True story of a Vietnam Vet's war experience and his battle to overcome PTSD, the "Cancer of the Soul"
For many soldiers, there is a war after the war. After experiencing the horrifying aspects of war, many soldiers are afflicted with Post Traumatic Stress Disorder, termed by some as "cancer of the soul". In Angel of Death, John Blehm tells of his wartime experiences and the thirty-eight years he has been suffering from PTSD. The book is a combination of an original work, Death Angel, and an additional nine chapters written ten years after the first edition. These chapters chronicle Blehm's journey with PTSD and the way he found peace through his faith in God. Angel of Death is written with the help of his wife, Karen, and is for soldiers and their families who wonder if they will ever reconnect with society. It is written for those who are asked to lay down their weapons and return to civilian life but seem to have lost the necessary pieces for this transition. It is a message of hope for those who have lost it and cannot seem to come back, and it is the testimony of a tortured soul who has found peace within. Why, God? War screams the same questions whispered in everyday life. The battlefield explodes with the same tenacity of emotions that wretch our souls. Smoke fills the air just as doubt clouds our minds. Are you on the frontlines of war overseas? Or perhaps your battle is personal, deep within. These devotions, penned by Captain Chris Plekenpol while on the battlefield in Iraq, expose the depths of inexplicable suffering as well as the heights of incredible victory in God. But not long after returning to Iraq, the burdens of his job–the memorial services for soldiers killed in action, the therapy sessions after contact with the enemy, the perilous excursions “outside the wire” while under enemy ﬁre–began to overwhelm him. Amid the dust, heat, and blood of Iraq, Benimoff felt the pillar of strength he’d always relied on to hold him up–his faith in God–begin to crumble. Unable to make sense of the senseless, Benimoff turned to his journal. What did it mean to believe in a God who would allow the utter horror and injustice of war? Did He want these brave young men and women to die? In his darkest moment, Benimoff wrote: Why am I so angry? I do not want anything to do with God. I am sick of religion. It is a crutch for the weak. Benimoff’s spiritual crisis heightened upon his return home to Fort Carson, Colorado. He withdrew emotionally from wife and sons, creating tensions that threatened to shatter the family. He was assigned to work at Walter Reed Army Medical Center, where he counseled returning soldiers suffering from post-traumatic stress disorder–until he was diagnosed himself with PTSD. Finding himself in the role of patient rather than caregiver, connecting as an equal with his fellow sufferers, and revisiting scriptural readings that once again rang with meaning and truth, he began his most decisive battle: for the love of his family and for the chance to once again open his heart to the healing grace of God. Intimate and powerful, drawing on Benimoff’s and his wife’s journals, Faith Under Fire chronicles a spiritual struggle through war, loss, and the hard process of learning to believe again. With an honorable discharge and wounds more than surface deep, United States Marine Thurman Casey Shaw leaves one war zone to battle for a half-life existence in another. With a former brother as his only friend in New York, Casey loses himself inside of a world that he can't escape. Addiction and desperate times lead him to an unusual proposal; Once you ingest the contents of this box, you must loosen its hold on your life forever. Accepting the challenge out of pure hopelessness, Casey has no clue that when he wakes up, his life will change whether he wants it to or not. "This novel is a step by step walk through of one of the most dangerous places one can be. While filled with strong emotional content, the array of feelings are broad and explained in a way only one who has been there knows and can. As a former prisoner, I was spared by the same grace offered to Casey. Redemption, sacrifice, faith, and love are all core elements found in this work. It begins serious and ends even more intense. 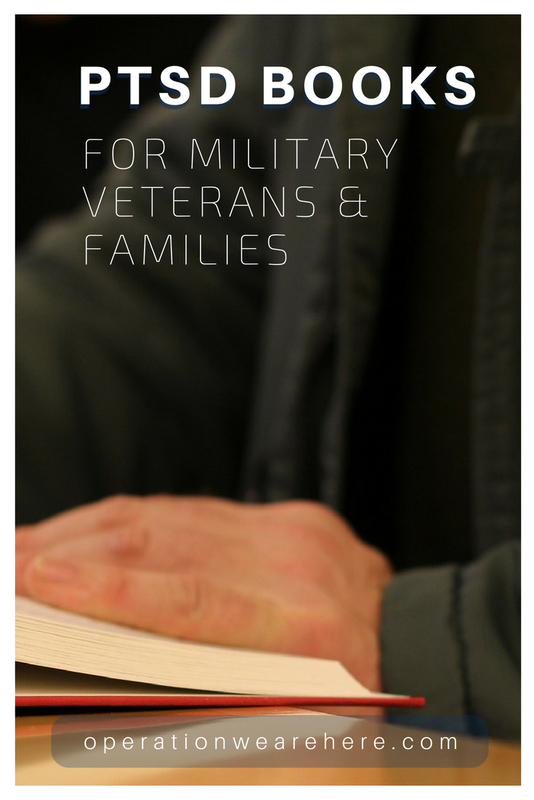 This booklet provides hope and healing for veterans and their families who are suffering the invisible wounds and scars of war. 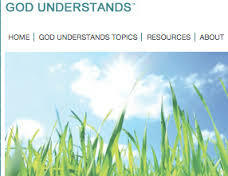 Moody and Trogdon provide helpful information to understand the struggles and offer effective ways to find a brighter future of purpose and peace. Topics include: PTSD, traumatic brain injury, stress of war, transitioning to home, and many more. The authors' writing flows out of experience and a genuine appreciation for those who have served to protect our country's freedom. Armed Services Ministry in collaboration with Veteran Affairs (VA) chaplain consultants developed the God Understands series: A resource created to provide healing, hope and comfort to veterans dealing with post-traumatic stress disorder and the spiritual, physical and emotional brokenness brought on by active duty service. Based on the Spiritual Injury Scale used by VA chaplains, real life situations about Veterans are shared to help identify spiritual injuries that often lead to feelings of uncertainty. There is a common human thread that flows through our frailties, our weaknesses, our heartaches and our sufferings—and a common thread of hope that so many have found through prayer and Scripture. Engaging this content can help you process your injuries and begin to heal. Start your own journey today. Although the Vietnam War officially ended in 1975, it still rages in the lives of thousands of veterans and their families. This book not only tells why so many Vietnam veterans suffer from flashbacks, depression, fits of rage, nightmares, emotional numbing, and broken relationships, but it offers solid answers and gives hope. It reveals the way to peace on the subject of post-traumatic stress. Once a Warrior: And Wired For Life illustrates how to turn negatives into positives and assists our highly trained military personnel in utilizing their tremendous potential in achieving success and happiness after their release from military service. This book highlights the path along the way to transitioning from warrior to civilian. It is not a book to read just once, but one to study over and over again. In war there are traumas to the soul that are not assuaged for the warrior by even the most excellent psychological care, medical interventions, and official support programs. Tending the Warrior Soul helps to advance understanding of this soul damage, and offers support, encouragement, lessons from personal experience, counsel, challenge, and resources to those God has called to care for warriors' souls, as well as to the warriors themselves and their loved ones. "Ministry to war experienced troops begins and ends with a servant's heart ... We must "remake" our worldview, expand our theological reference points, and accommodate our civilized views about violence, cruelty, right and wrong to the uncivilized applications of war. ... Neither God nor His commandments change, for these are the anchor points, trustworthy and sure. ... Teaching people to sort through the reality of God while sifting through the ashes of soul, spirit, and mind burned in the consequences of war is not "routine" business. Ministry to warriors is transformative." From Foreword, by Colonel Mike Hoyt, Chaplain, U.S. Army, Retired. The Combat Trauma Healing Manual offers spiritual solutions for struggles with PTSD by helping construct an environment that will give God optimal access to the wounded soul. Designed for individual or group study, the Combat Trauma Healing Manual combines the latest insights of the medical and counseling communities with the timeless principles of God’s Word. For the first time, Army Ranger hero Nate Self tells his story. Self recounts the Roberts Ridge Rescue mission, the ferocious battles in Afghanistan, and the lone war of attrition that Nate Self has waged against post-traumatic stress disorder. This book will become a go-to book for understanding the long-term effects of the war on terror. Thousands of families are fighting this battle, and Nate Self opens up his whole life—tragedies, successes, failures, and a struggle with suicidal thoughts—to share the facts and to show how his family and his faith pulled him through. For every wounded warrior, there is a wounded home--an immediate and extended family and community impacted by their loved one's war experiences. Every day service members are returning from combat deployments to their families. And every day war comes home with them.